CEDAR RAPIDS — Clothing the naked may seem on the surface to be an abstract work of mercy to tackle since unlike in other nations, in the United States, we don’t normally see “naked” people walking the streets barefoot or in dirty rags so worn they seem to be falling apart. Nonetheless, there is a pressing need for shirts, coats, shoes, socks and even clean underwear among the poor of our country — including in Northeast Iowa. Just ask Mark Kramer, the director of the St. Vincent DePaul’s Society’s council in Cedar Rapids. “The poor people in your community, you can’t see them,” said Kramer. “You don’t know what’s going on behind walls in the houses.” A destitute person in Cedar Rapids can walk into the St. Vincent DePaul headquarters there and receive two shirts, two pants, a jacket and shoes for free with no trouble. They just need to show an ID so the charity can make sure they are not coming back too many times. Clothing is at the heart of the society’s operations globally because the donated items are used not just to clothe people in need, but to fund the many other works of charity the society does through sales at thrift stores. “We sell clothes for $5,” said Kramer. “You can get a grocery bag and take as many clothes as you want.” Through this Year of Mercy, the archdiocese has encouraged parishes and individuals to engage in each of the corporal works of mercy during designated “work weeks.” The Clothe the Naked Work Week is July 10-17. The Witness is profiling some efforts to fulfill this work of mercy here as part of an ongoing series. The St. Vincent DePaul Society (SVDS) is one of the largest organizations in the archdiocese and perhaps in the world dedicated to clothing the naked and providing other help for the poor. The French saint started it in the 17th century. 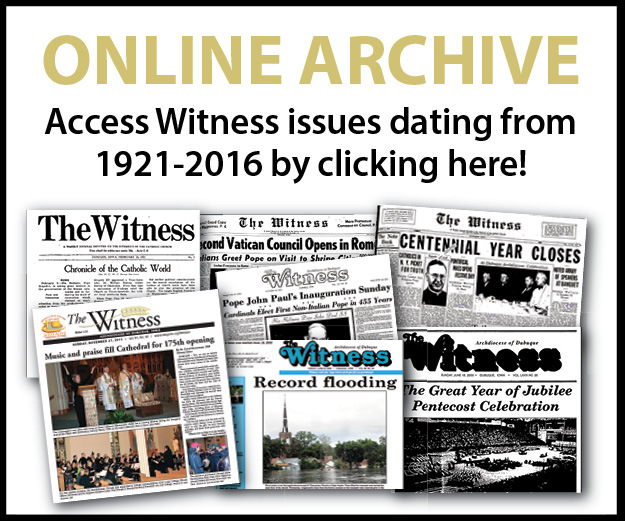 In the archdiocese, there are councils in Dubuque, Waterloo, Cedar Falls and Cedar Rapids. The oldest, in Dubuque, was founded in 1859. 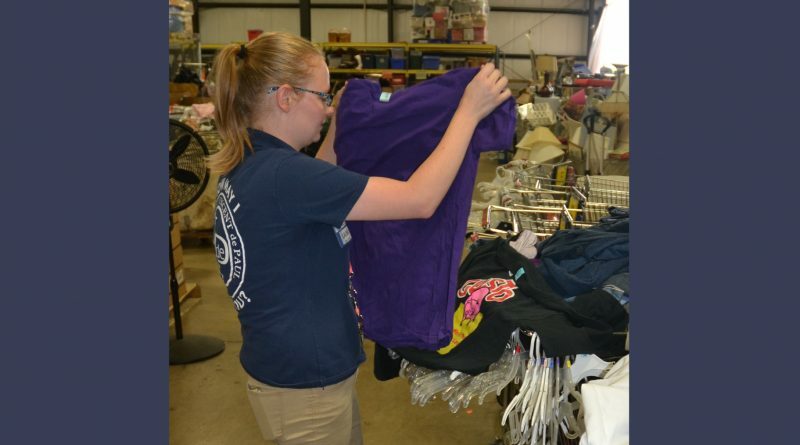 The organization’s district councils run thrift stores in all those cities and are supported by “conferences” at the local Catholic parishes, as well as by individual donors and volunteers. “Everything that they donate here in Dubuque, stays in Dubuque to help people here,” explained Tracy Ede, executive director of the Dubuque’s SVDS branch. Last year, her district, which has multiple employees and about 72 volunteers, helped 2,574 families. Clothing is just one aspect of that assistance — which revolves around a voucher system. Those in need can apply to receive furniture, clothes, rent and utility assistance, household goods and other services. Volunteers visit the clients and assess their needs, often providing spiritual support as well. The society in Dubuque also has an anonymous donor who provides brand new underwear. 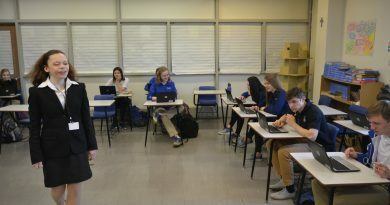 All three SVDS districts in the archdiocese provide furniture pick up for donors and find creative ways to use the materials they receive, even those that aren’t in top shape. Pat Russo, the council executive director in Waterloo, has worked for the SVDS for 35 years and says the charity offers a way to put faith into action. “I want to get our volunteers in a position to help people,” he said. The Waterloo council has two stores (including one in Cedar Falls) and a warehouse. Even donated clothes that may be too bad to sell in the shops are re-purposed. “If people have clothing that’s a bit worn, we recycle it,” said Russo. The society purchased a hydraulic bailer, which presses the clothes into large stacks, which are sold by the pound to developing countries for, re-use as clothes or to industries that turn them into rags. The SVDS of Waterloo can get anywhere from 10.5 to 26 cents per pound for these “left overs” as long as they don’t have odors or stains. The money goes back into the charity, instead of the old clothes ending up in a landfill. Much like the other locations, in Waterloo and Cedar Falls, people without means can receive clothes for free, as well as other services. “We distributed $130,000 in clothing, furniture and household necessities last year,” said Russo, who oversees a staff of 19 and 80 volunteers. So far in 2016, in Cedar Rapids alone, the SVDS council there has helped 440 in the city, as well as in Hiawatha, Marion and surrounding areas, according to Kramer. The SVDS is not the only organization on the forefront of clothing the naked. 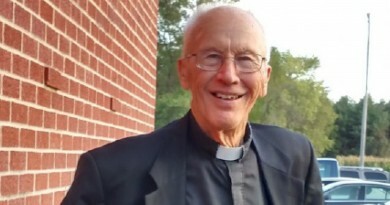 The North Linn Cluster of Parishes, which includes parishes in Anamosa, Coggon, Central City and Prairieburg have been participating for years in an ecumenical Clothes Closet located at the United Methodist Church in Anamosa. At Sacred Heart Parish, Maquoketa, the parish council decided on a special project for the Year of Mercy. 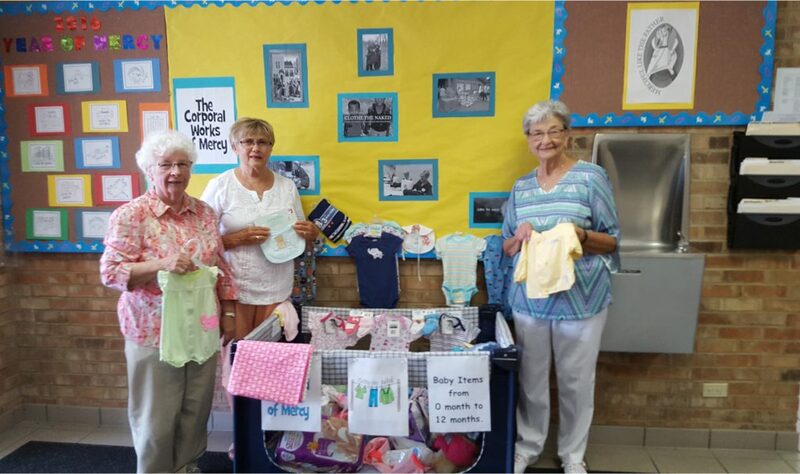 Beginning earlier this month, the parish put a baby’s play crib in the back of the church and asked members to fill it up with clothes for infants and other baby items. The items will be given to Birthright in Dubuque, a charity that helps women with unplanned pregnancies have and support their babies. At St. Anthony Parish, Dubuque, the members built on the Christmas tradition of having a giving tree for those in need during the holidays. The parish council got a list of 150 children who need shoes from St. Mark’s Community Center in Dubuque and Dyersville. Then, the organizers put the names and sizes together for Christmas in July. For anyone looking to clothe the naked or help the poor in any other way during the Year of Mercy, checking with your local parish or the SVDS is a good first step. 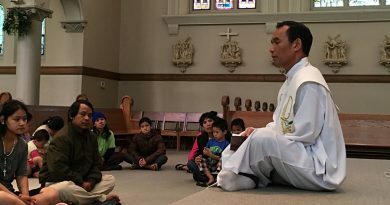 St. Vincent’s conferences in particular are always in need of donors, and volunteers to sort clothes, help process vouchers, pick up furniture or work in its retail stores. For more information, contact your local branch.